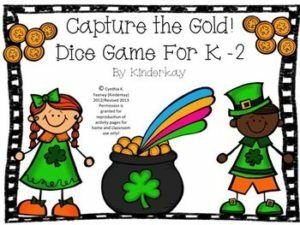 Students try to see who can capture the most gold by tossing 2 dice or using number cards to find the sum. Level 1 uses 2 dice and Level 2 uses addition cards. THIS PRODUCT HAS BEEN REVISED! I can use a variety of strategies to solve addition problems.